Perfectly located for exploring the very best of Cornwall. 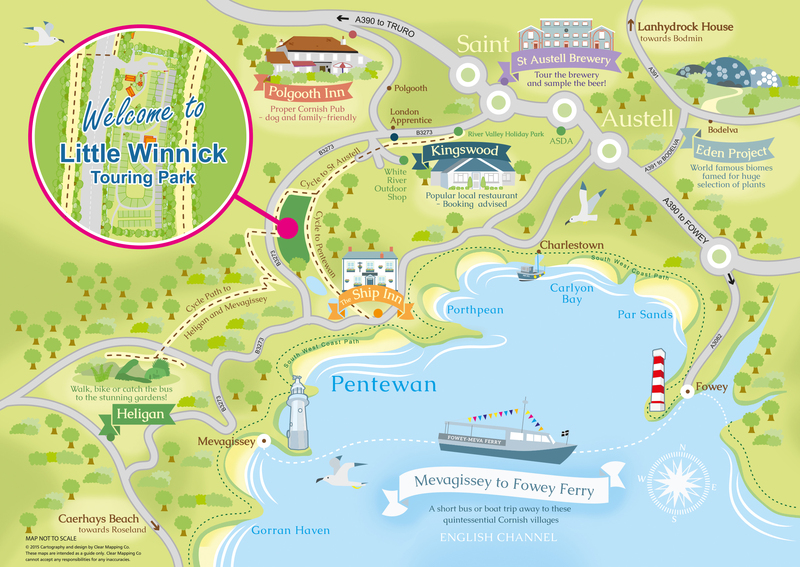 Whether you are after the local garden delights of The Lost Gardens of Heligan or The Eden Project, beaches, walks, coastal villages, Cornish pubs, activities for the children or just a relaxing get away Little Winnick offers you a brilliant base to achieve you ideal Cornish holiday. 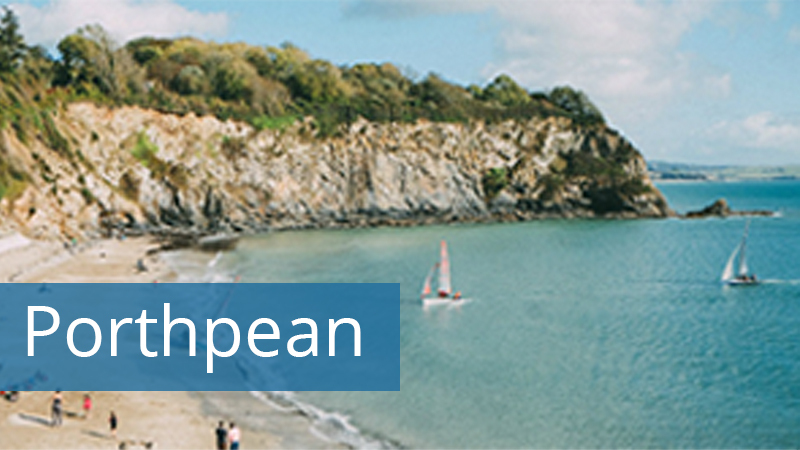 Tucked within the Pentewan Valley, the beach and the pub are a stroll away. We walk it with a pushchair in 25 minutes, but it depends on the size of your legs and the speed you walk as to how long it will take you to get there! Accessed via the B3273 you can rest assured there are no little or narrow lanes to negotiate, just follow the signs for Mevagissey from St Austell and you will find the park. Brilliantly located to enjoy some of Cornwall’s best walks. With direct access to the Pentewan Cycle Trail & the National Cycle Network you can enjoy miles of paths in the Kings Wood or wander down to the village of Pentewan. From the park you can connect into the South West Coastal Path enjoying miles of well marked routes taking in some of the best views the south west has to offer. Just a short drive away why not explore the wonders of Luxulyan Valley (a little bit of a local secret!) 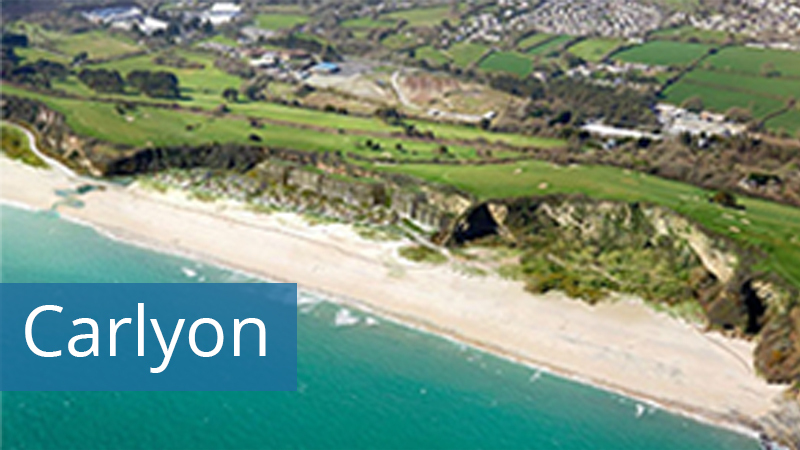 or join the South West Coastal Path in Pentewan. If you fancy a real adventure you could walk into Mevagissey, catch the Mevagissey to Fowey Ferry, then do the Hall Walk, it is one of our favourites and has stunning views. You could either catch the bus back, which stops right outside the Park or you could return on the ferry. Download our map to show you our favourite locations. 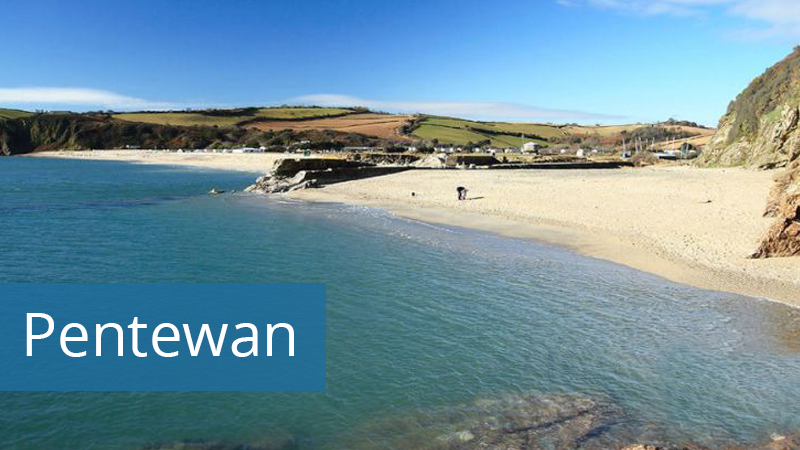 Pentewan Beach is a mile’s stroll away on an off road trail. The family friendly beach is ideal for enjoying the Cornish sun with a play area and Hubbox on the beach. This beach is not dog friendly. Porthpean is also near by, this small cove is nestled next to Charlestown and is a proper Cornish Beach with small field car park, ice cream shop and toilets. The beach is great for rock pooling and enjoys views out over St Austell Bay. 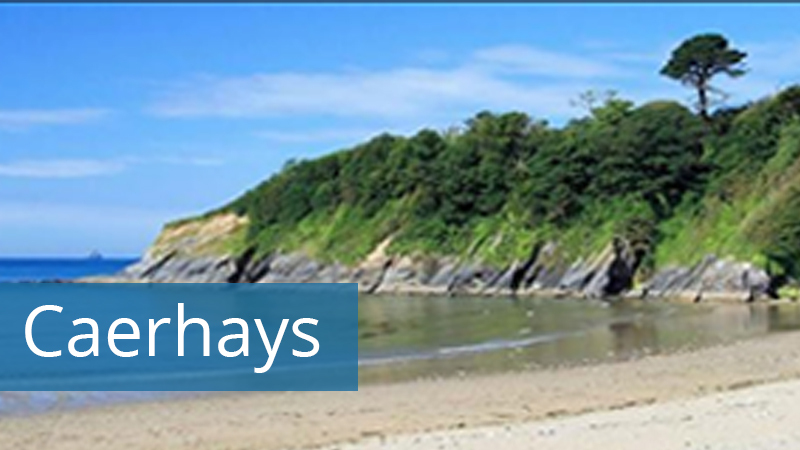 The nearest dog friendly beach is Caerhays, also known as Porthluney. This stunning cove is about 10 minutes drive from Little Winnick and has a large car park, toilets and a cafe. 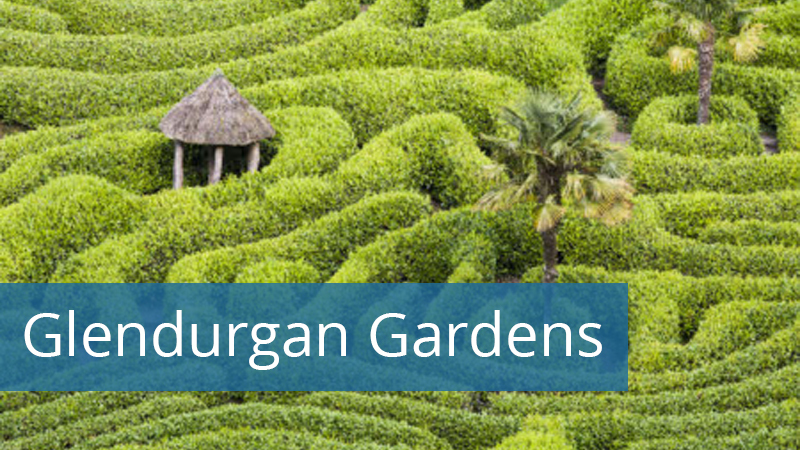 The Lost Gardens of Heligan is a treat on our doorstep, with a world famous jungle garden, impressive kitchen garden and fantastic activities throughout the year, either walk or take the short drive to this must visit gardens. We can now offer guests staying with us tickets with 25% off – please purchase from reception. 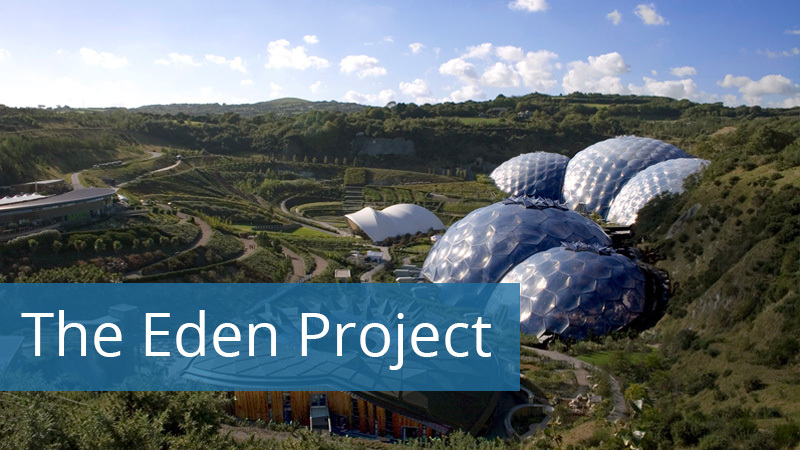 The Eden Project is nearby with indoor and outdoor gardens and many events taking place it is well worth a visit. We would recommend booking tickets in advance to save some money and time at the ticket desks. 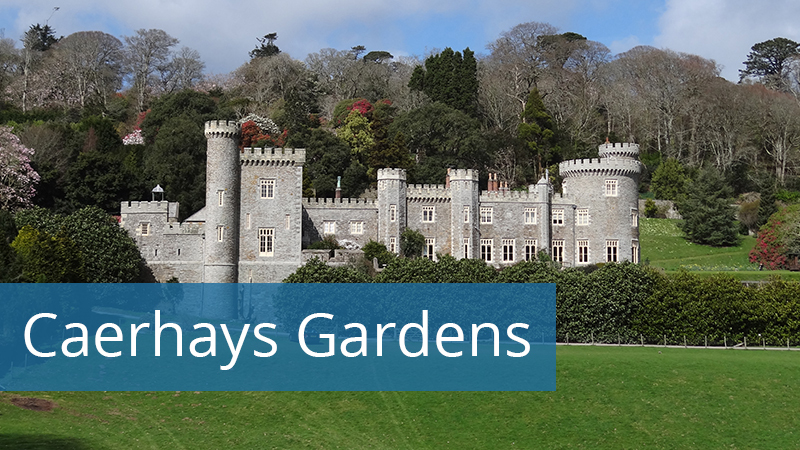 Caerhays Gardens is the magical grounds of Caerhays Castle will have you dreaming of living in the enchanting castle. With stunning sea views and a well stocked garden this is a garden lovers paradise. With children ourselves we can happily recommend a whole host of family places to visit. On a sunny day why not venture to along the trails right outside Little Winnick. There are plenty of things of interest to keep all ages entertained and ice creams and refreshement stops to enjoy on the way. On a rainy day the Maritime Museum at Falmouth is brilliant, a real hands on adventure. 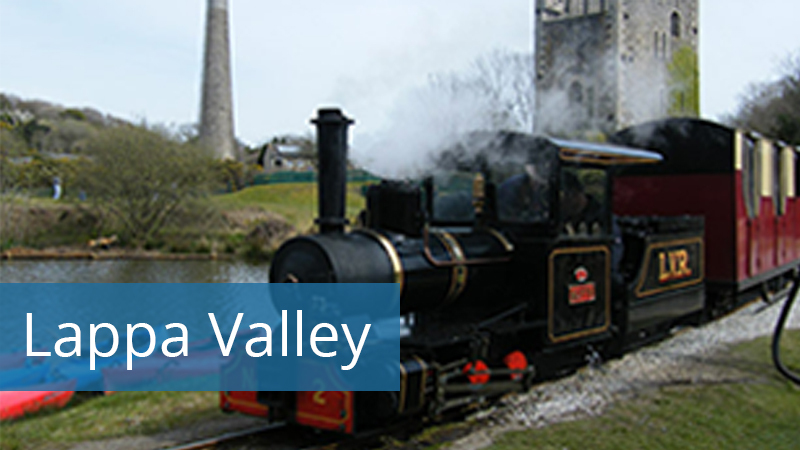 If trains are your thing then there is Lappa Valley, or perhaps an adventure on a boat with a trip between Falmouth and Truro or bus trip to Truro. Please ask in reception for all local events. 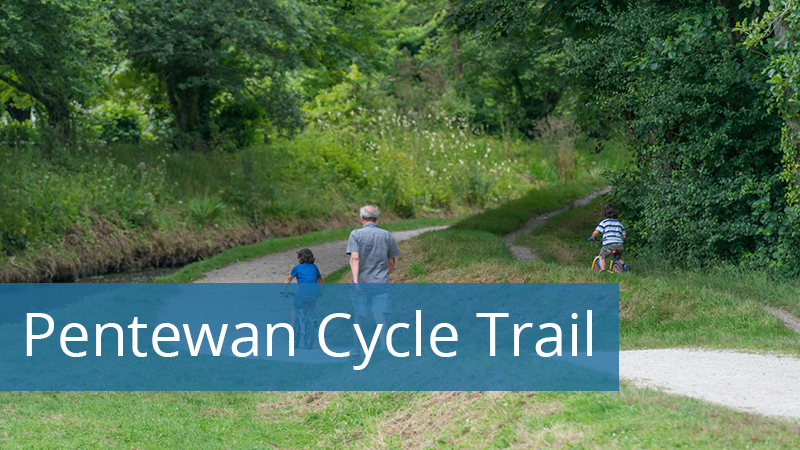 The Pentewan Cycle Traillcan be enjoyed on foot or on bikes. If you would like to hire bikes then speak to Pentewan Cycle Hire who will deliver them to Little Winnick for you and collect them. The flat, off road trail is perfect for young and old and takes you down to the small village of Pentewan where you can gain access to the beach. 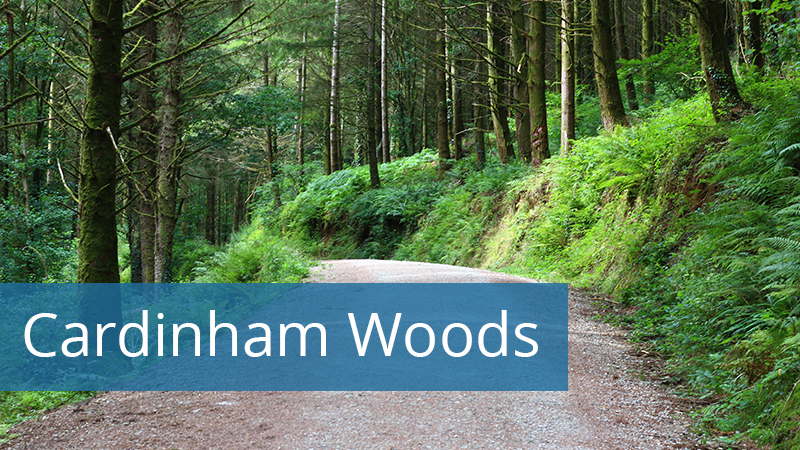 For a free, fun day out then pop over to Cardinham Woods. The woods have a selection of short and longer trails for you to enjoy and there is a fantastic children’s play area. There are plenty of benches to enjoy a picnic and barbecues for you to utilise too. 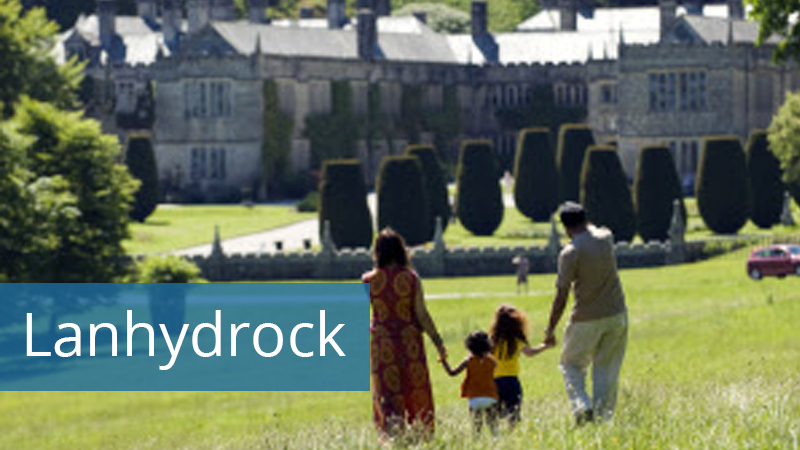 Lanhydrock National Trust property is our favourite house to explore. If you would rather stay outside though the miles of paths around the park are accessible for free. There is a huge new children’s play area overlooked by a large new cafe. There are newly opened bike trails and a bike hire centre along with a small balance bike track for younger cyclists. 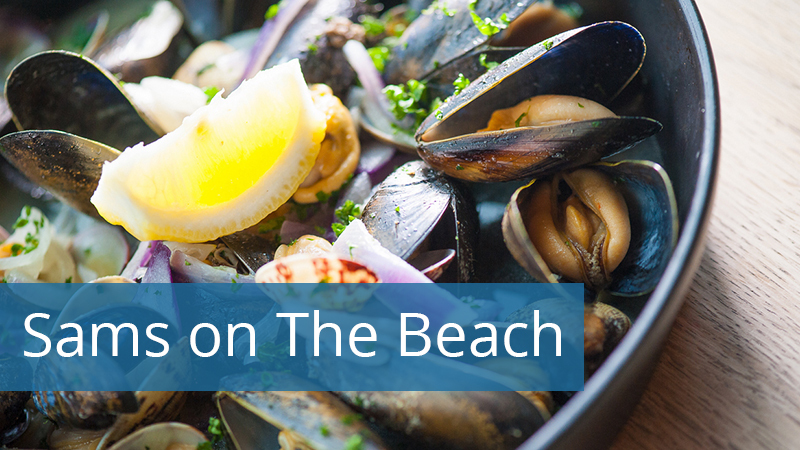 We love food, and luckily Cornwall is a real foodie haven. 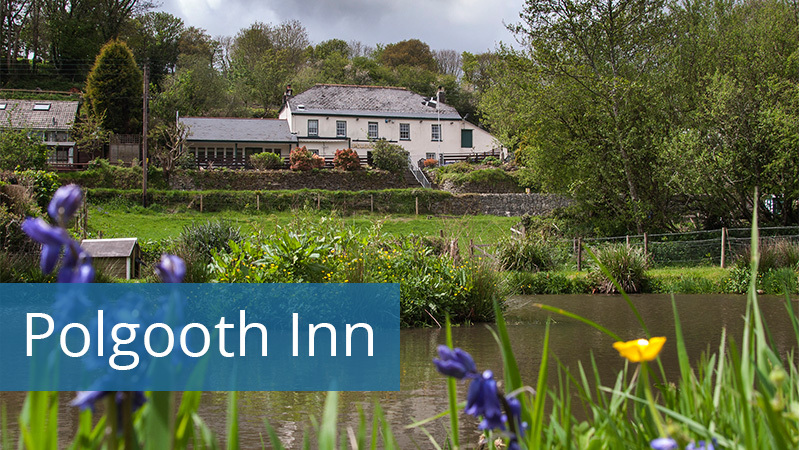 With The Ship Inn at Pentewan within walking distance you can enjoy a real Cornish Ale in a lovely beer garden over looking the small harbour at Pentewan. Or if a treat is on the cards why not visit the nearby Kingswood Restaurant – a popular restaurant and bar serving great food – it is popular so booking is essential. 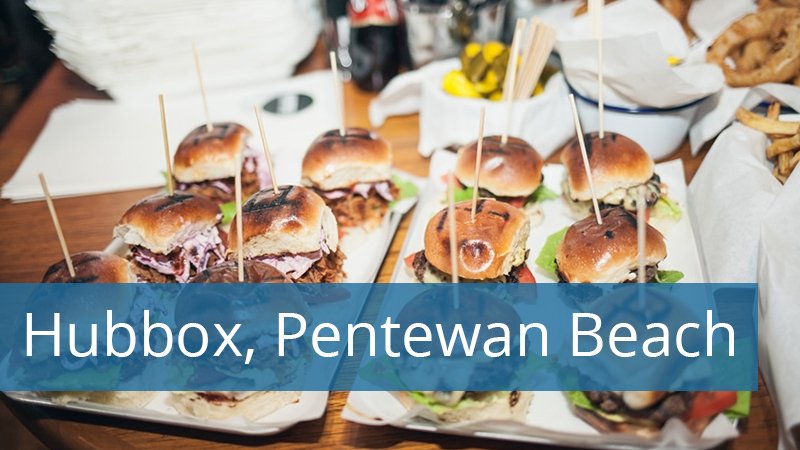 A short walk away you will find The Hub Box, on Pentewan Beach, they serve a selection of gourmet burgers, non residents welcome. 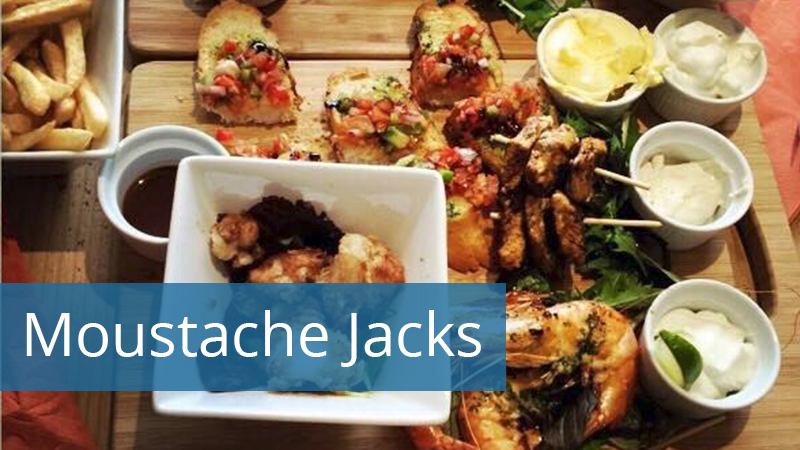 Moustache Jacks, St Austell is a new wine and tapas bar in the heart of St Austell. Lovely cocktails. Sams on The Beach, Polkerris is a small restaurant that serves amazing food. Located in an old lifeboat house you don’t get to eat your tea much closer to the sea than here. Booking is essential. For a family meal whether it be breakfast, lunch or dinner Lenwinnick Lodge, Pentire Headland is a great pub/restaurant. Lenwinnick Lodge is very accommodating – we have enjoyed everything from big family meals to small family breakfasts here. Stunning views and lovely food and very child and dog friendly. For those looking for something a little more special there is Fifteen, Watergate Bay – itis a real treat of a place. We recommend going for breakfast – bookings are only taken 7 days in advance so don’t forget to reserve a table. Child friendly. The Stable, Fistal Beach is a newly opened this cider, pizza and pie bar over looks the famous Fistral Beach. Lovely food and child friendly. 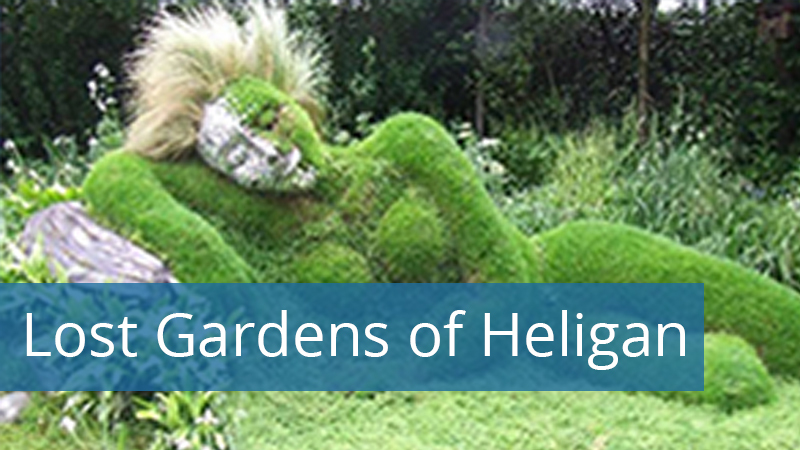 You don’t have to pay to go into the The Lost Gardens of Heligan Café and the food and cakes are amazing. The meat is all from their farm and tastes delicious. (Their macaroons are my favourite!). The Polgooth Inn, Polgooth is a family and dog friendly proper Cornish ale house, serving lovely food and welcoming to all. Great Sunday lunches. For a special night out we would highly recommend Austells, St Austell. The setting is plain but the food is amazing.